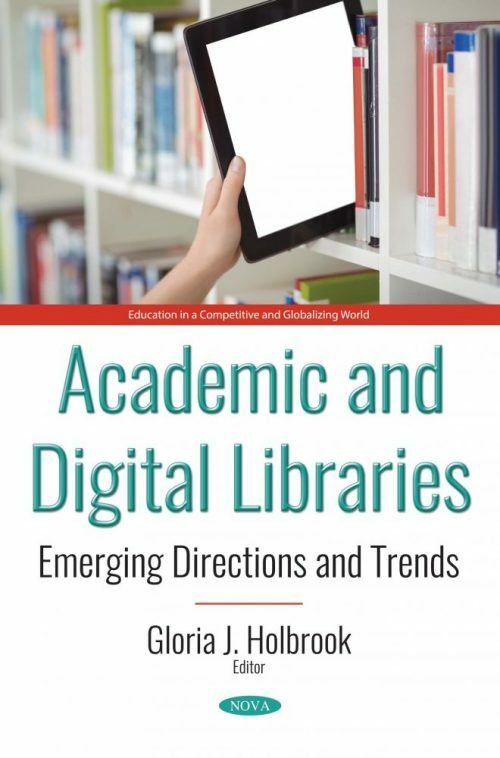 In Academic and Digital Libraries: Emerging Directions and Trends, the authors open by identifying the technological revolution in the academic libraries from 1930s until now, finding that the growth of technology in the academic libraries is largely similar to the phases of human growth through four stages; Stage of Birth (1930 – 1959), Stage of Childhood (1960 – 1979), Stage of Youth (1980 – 1989) and Stage of Maturity (1990 – 2017). Therefore, the authors present essential information about 3DHT in order to understand the importance of this technology in our life, particularly in academic libraries. Next, the authors aim to determine how and to what extent humanities students in Poland make use of digital libraries. Emphasis was placed on three factors: time spent working at the library, duration of use of the library, and the proportion of materials used that come from the digital library. Next, the book includes research which conducts an environmental scan of current best practices in academic library technology to reflect on future landscapes. The work takes the premise that by projecting out from current leading-edge technology realities, it is possible to better plan for the future. The final chapter examines the concepts of digitization and preservation of information resources in academic libraries. The need for and process of digitization of Libraries resources, as well as the areas of collaboration in digitization and preservation projects are discussed.